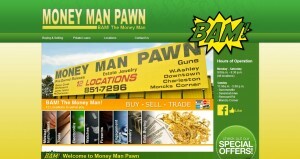 Money Man Pawn address, phone, website, hours of operation, and more. At Money Man Pawn, in Charleston SC, we pay top dollar for your broken and unwanted jewelry, silver, coins, and a whole lot more. It’s the best way to get some extra cash when you need it. Plus, if you’re looking to buy, we have the largest selection of pre-owned Rolex watches, diamonds, and estate jewelry. 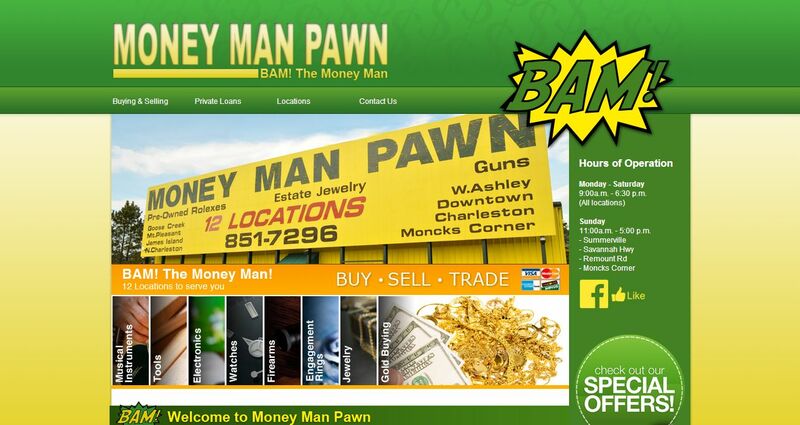 Money Man Pawn, has been in Charleston, South Carolina since 1991, and now, we have 12 locations to choose from. We’re a part of one of the oldest professions and have more than 100 years of combined experience. Our Pawn Shop is stocked full of great deals. So whether you’re looking to pawn or sell an item, or searching for a bargain on pre-owned name brand jewelry and watches, you’ll be thrilled to have visited us. Bam! The Money Man!